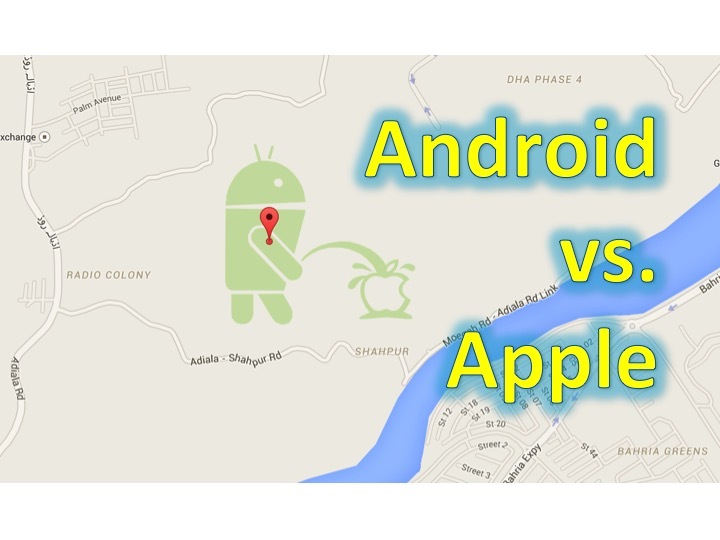 Well, we know that Android and Apple aren’t the best of friends; nor are their respective fans! Remember, the roommates who stabbed each other over an Android vs. Apple debate? 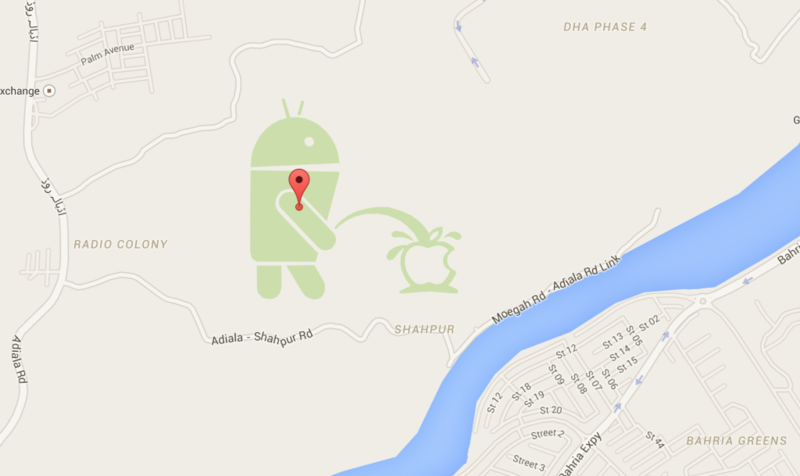 Right now, you can see Android urinating on the Apple logo, in the northern part of Pakistan! NOTE: Don’t forget to enter our Chromecast giveaway! Click here to head to Google Maps (you may have to zoom out once).